“Once,” says the old man to the animals, “a hunter lived in this forest. Your grandparents lived in fear of him. The twang of his bow sent them running. Then something happened to change that forever . . . ” In this ancient parable from India, a forest-dwelling hunter learns that cruelty has consequences and that compassion has rewards. When the hunter meets the wise man Narada, “Do unto others as they would do unto you” takes on a very concrete meaning as the sage leads the hunter on an imagined journey in which the hunter becomes the hunted. When the hunter realizes how his actions affect other living things, he has a change of heart and begins to live in peace with the animals he once pursued. Kosa Ely adapts this traditional Indian tale into an inviting narrative that presents the universal golden rule in a new and appealing way. Anna Johansson’s richly detailed illustrations evoke the animal kingdom and enchanted forests with fine lines and luminous colors. 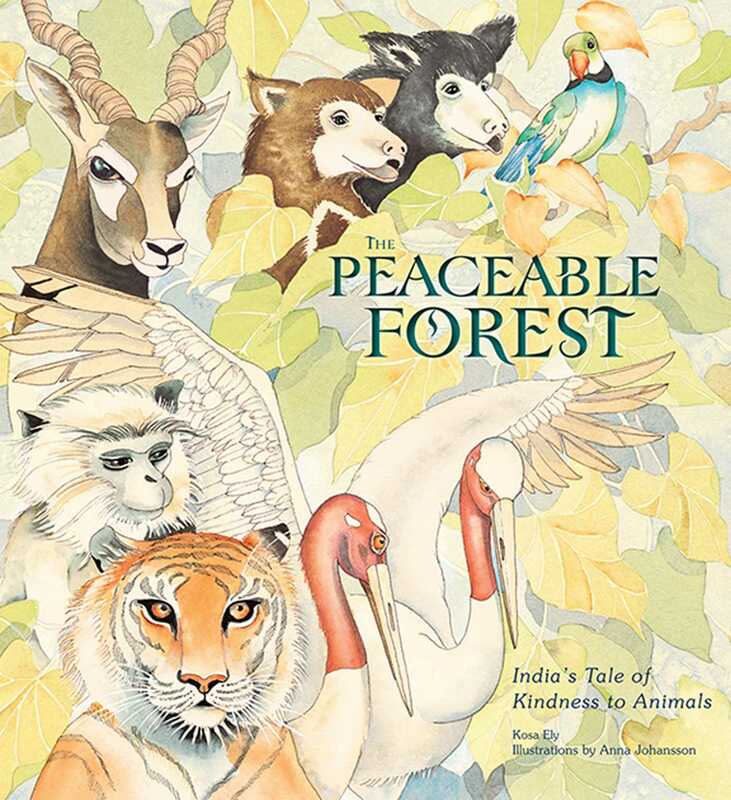 The Peaceable Forest is the ideal picture book for inspiring young readers to respect life in all its forms. Kosa Ely grew up in a family of artists in the coastal towns of California, writing and painting from a young age. After graduating from Laguna Beach High School, Kosa’s English and art studies took her around the world, exploring storytelling and folk arts in eighteen countries. From the rainforests of Peru to villages in South India to remote areas of Australia, wherever she traveled she found herself surrounded by children, hearing their stories and sharing her own.